Do you have tooth pain, swelling, or other signs of severe infection? If so, you may need a root canal or other form of oral surgery, performed by an experienced endodontist here in Fair Oaks. We offer a variety of endodontic services and oral surgery procedures, including root canals, in a relaxed, comfortable atmosphere. If you have been told you need a root canal, or simply want to know more about keeping your teeth and gums healthy, we have provided the following information regarding Fair Oaks endodontic care. An dentist performs a root canal when decay, soft tissue damage or facial injuries cause severe infection or other dental hygiene issues deep within the root of a tooth. A root canal is a last resort effort to save the tooth, when the inner soft tissue is too damaged to heal properly. The tooth pulp and nerve inside the tooth’s root canal are removed, then the tooth is sealed to prevent further damage or decay. A crown or cosmetic covering may be placed over the tooth to aid with sealing out harmful bacteria. Numerous situations can cause damage to the nerve or pulp area of a tooth. Repeated dental procedures performed on the tooth, chips, cracks, and lost fillings can open the inner area of the tooth to bacteria and infection. 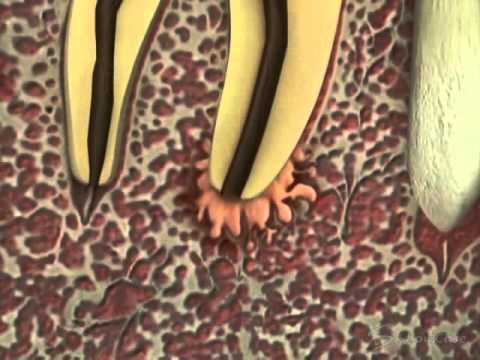 Decay can eat into a tooth, causing an infection or abscess, where a pocket of infection fills and inflames the area near the tip of the tooth’s root. Each of these instances can necessitate a root canal. Endodonists are specially trained dental professionals with extensive knowledge of the soft tissues and nerves associated with the teeth and oral surgery. Many dentists are also endodontists, allowing your regular Fair Oaks dentist to perform a root canal in the office, with just a local anesthetic. The procedure typically starts with X-rays so the endodonist can get a clear picture of the root and any subsequent bone infection prior to any form of oral surgery. 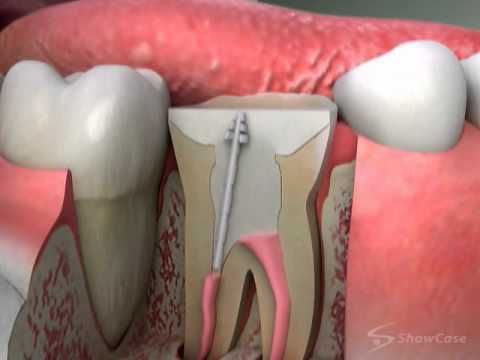 After determining the viability of the tooth, the endodonist drills a small hole through the top of the tooth. The pulp, nerve, and any infected tissues are removed. 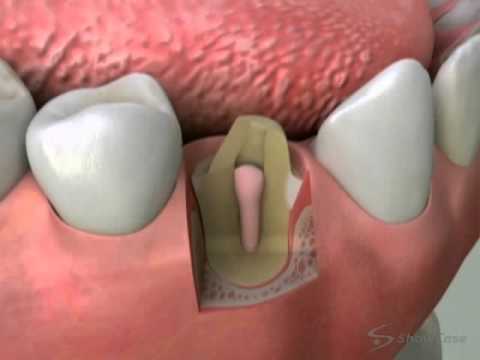 Depending on the severity of the infection, the dentist may place a temporary medicated plug into the cavity, to help kill any remaining bacteria before sealing the tooth. The seal, known as gutta percha, is a mixture of rubber and a sealant in paste form, which is used to fill the root cavity and any access holes drilled. 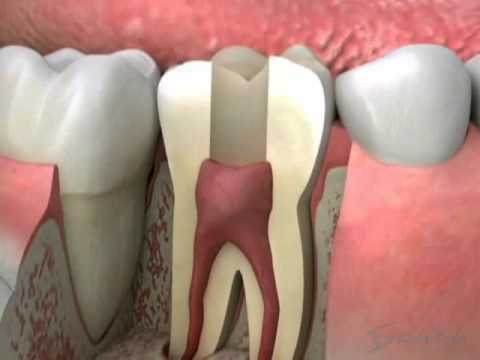 A crown is put in place to protect the tooth from breakage.